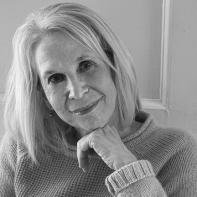 Today we are proud to announce news about past contributor Sue William Silverman. Sue’s new poetry collection, If the Girl Never Learns, will be out in April, 2019 from Brick Mantel Books. Congratulations, Sue! “Death Comes for the Poet” by Sue William Silverman can be read in Issue 16 of Superstition Review. Today we’re proud to feature Sue Silverman as our twenty-fifth Authors Talk series contributor, discussing how she crafted the narrative voices in her Issue 16 nonfiction piece “Death Comes for the Poet” and in her three memoirs. “The challenge for any writer is to discover the voice of the piece at hand, depending upon whatever it is that needs to be conveyed,” she says. It’s just one of many illustrations of an insight-packed podcast that pulls together formative life experiences with craft, firmly positioning the latter as a dynamic vehicle of art. You can listen to the podcast on our iTunes Channel, #212. You can read Sue’s nonfiction piece “Death Comes for the Poet” in Superstition Review Issue 16, and see her read it aloud in SR vodcast #211. Sue William Silverman is the author of three memoirs: The Pat Boone Fan Club: My Life as a White Anglo-Saxon Jew was a finalist in Foreword Reviews’ 2014 IndieFab Book of the Year Award; Because I Remember Terror, Father, I Remember You won the AWP Award in Creative Nonfiction; and Love Sick: One Woman’s Journey through Sexual Addiction is also a Lifetime TV original movie. Her craft book is Fearless Confessions: A Writer’s Guide to Memoir, and her poetry collection is Hieroglyphics in Neon. She teaches in the MFA in Writing Program at Vermont College of Fine Arts. www.SueWilliamSilverman.com. This Tuesday, we’re proud to feature SR contributor Sue William Silverman reading her nonfiction piece “Death Comes for the Poet” on the SR podcast. You can listen to the podcast on our iTunes Channel, #211. You can follow along with Sue’s work in Superstition Review, Issue 16. On Friday, we’ll announce Sue Silverman’s Authors Talk podcast.